Your guide to finding educational opportunities at Walt Disney World. Disney’s BoardWalk Resort is full of fun, turn-of-the-century styling from the feature pool to the indoor bar to the art and artifacts on the walls. 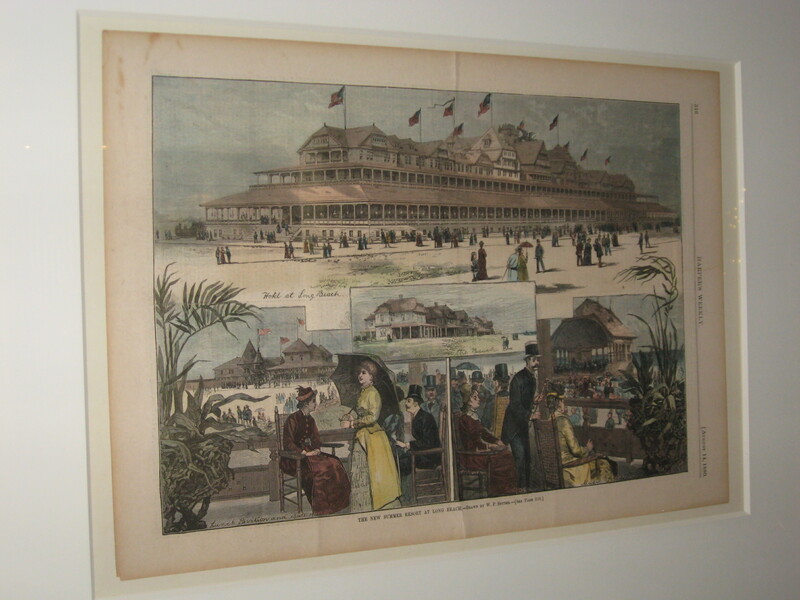 You may be surprised to find original art and prints from the time period, many of which depict life and leisure on the boardwalks of New York and New Jersey. Just outside of the Belle Vue Lounge are some great examples of this artwork. Plaques explain that the prints were published for magazines and “view books” using an engraving process. This technique was common and popular before photo reproductions became mainstream. 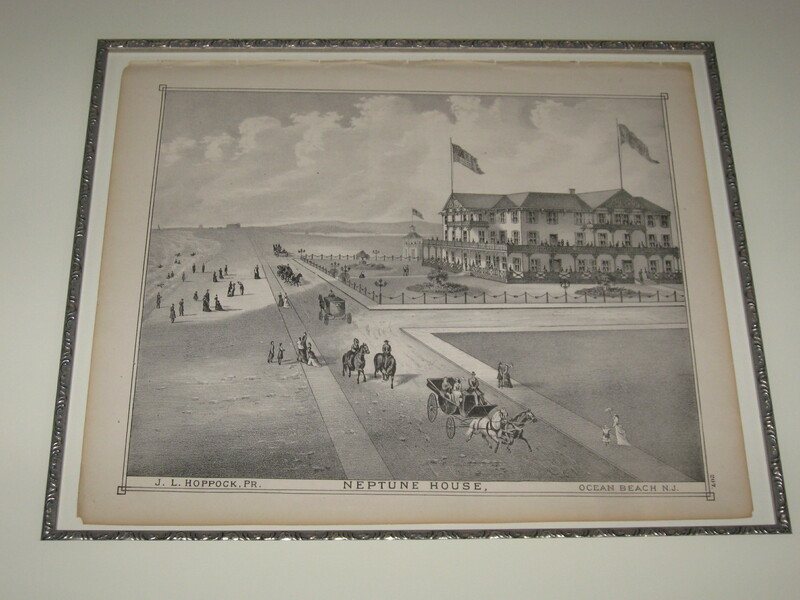 The prints on display date back to 1890 and 1900. 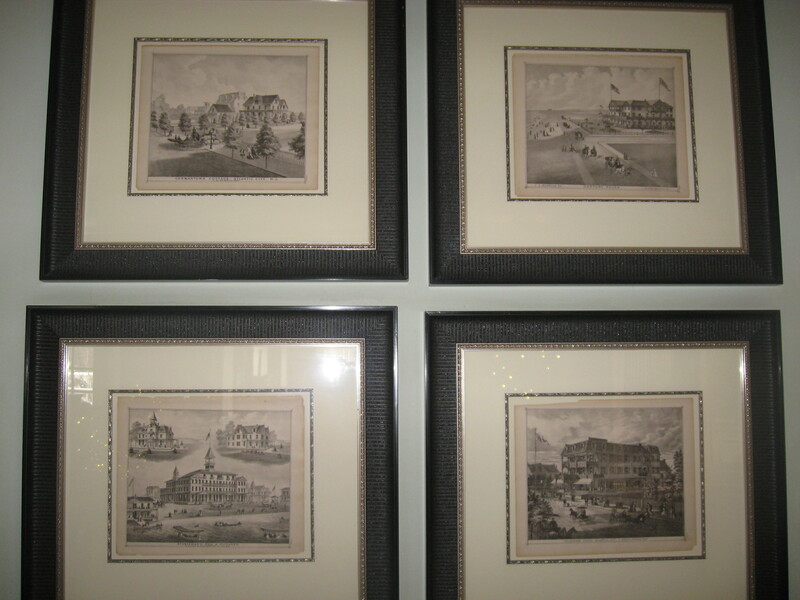 Be on the lookout for more historical prints throughout the resort. Disney’s Animal Kingdom Lodge is one of those places that is chock full of things to explore and learn. So we’re giving you bite-size pieces, starting with Uzima Pool. This main feature pool at Jambo House was one of the first on Walt Disney World property to be built with a zero-depth entry point to mimic a real beach. Visiting the pool is always a great, relaxing way to spend some vacation time. 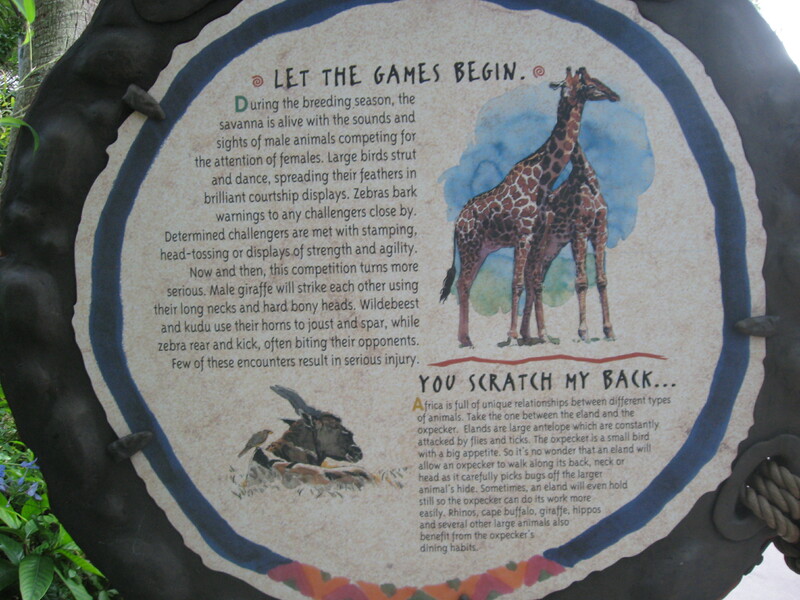 But when you’re at Uzima, be on the lookout for special signage that teaches a bit about the circle of life. 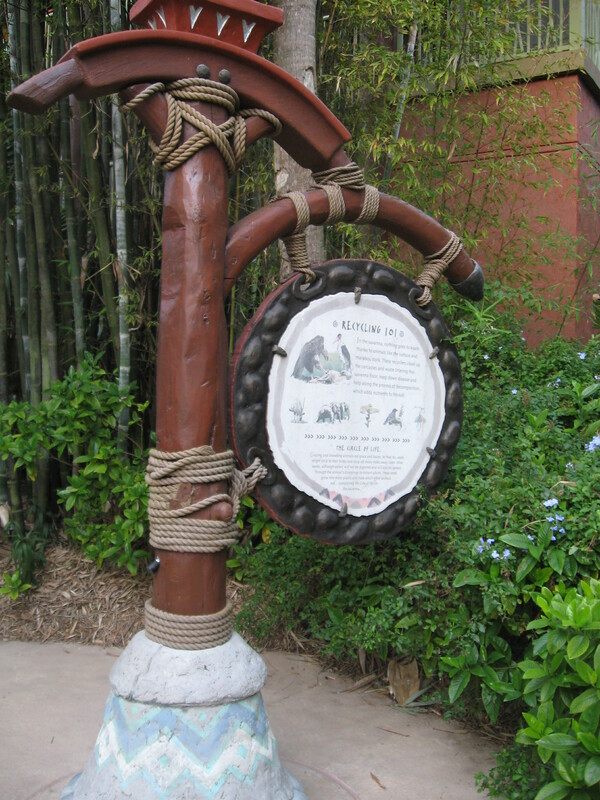 Just beyond Uzima Springs pool bar is a singular post with four in-depth facts about how animals and plants depend on each other and their environment for survival. There are explanations of certain animal behaviors, such as how animals recycle in the wild and why they develop co-dependent relationships. You can also read about breeding seasons and how seeds travel miles and miles to be planted as food for future generations. The Wilderness Lodge Villas are a nice addition to the Wilderness Lodge Resort. 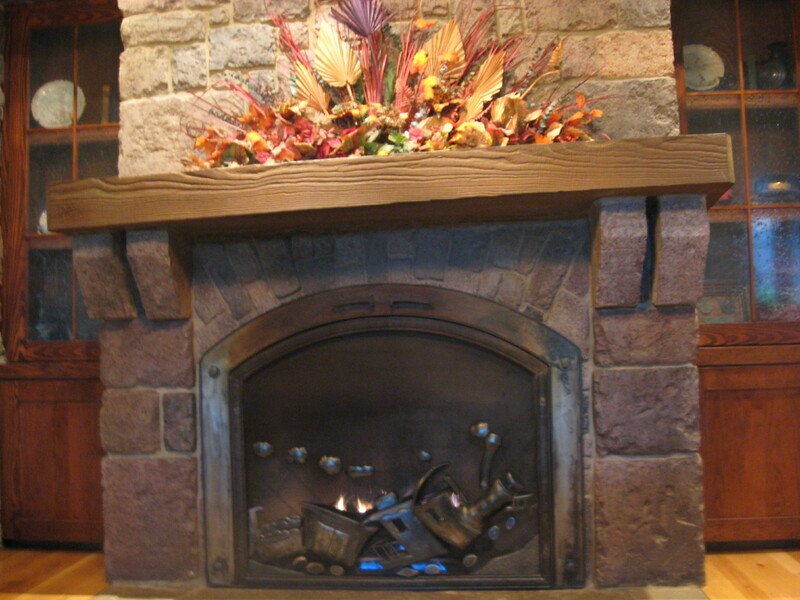 This Disney Vacation Club property is quiet and very inviting with its cozy fireplaces, quiet pool area, and relaxing rocking chairs. Like the Wilderness Lodge, the theme here is Pacific Northwest nature. But the Villas are unique because their story is really about train travel and the railroad hotels that sprung up during the construction of the Transcontinental Railroad. You’ll see nods to this train culture throughout the lobby, but nowhere is it more prominent than in the room just to the right of the main entrance. 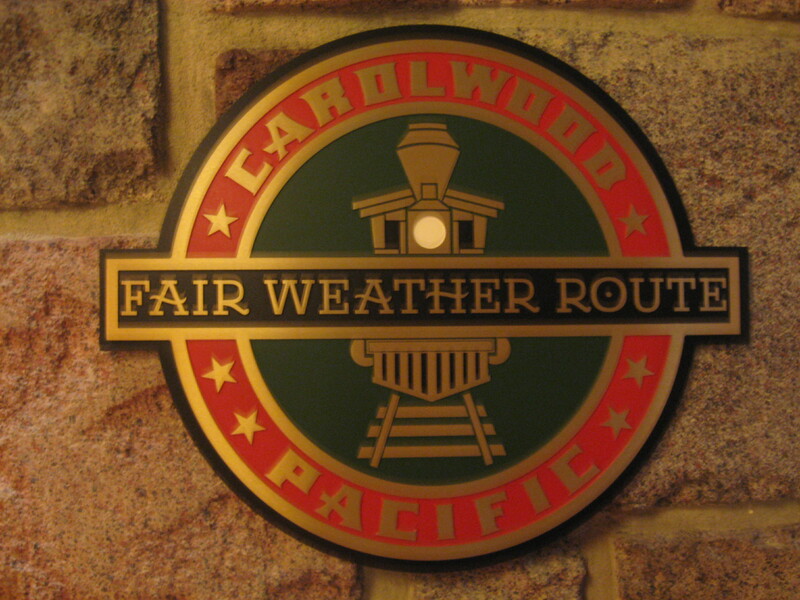 This is the Carolwood Pacific room and it pays homage to Walt Disney and his love of trains. The walls are decorated with photos, sketches, and memorabilia. You’ll see historical shots of Walt, his model trains, and fellow train enthusiasts. You can see a model of Walt’s famous Lilly Belle scale steam engine. 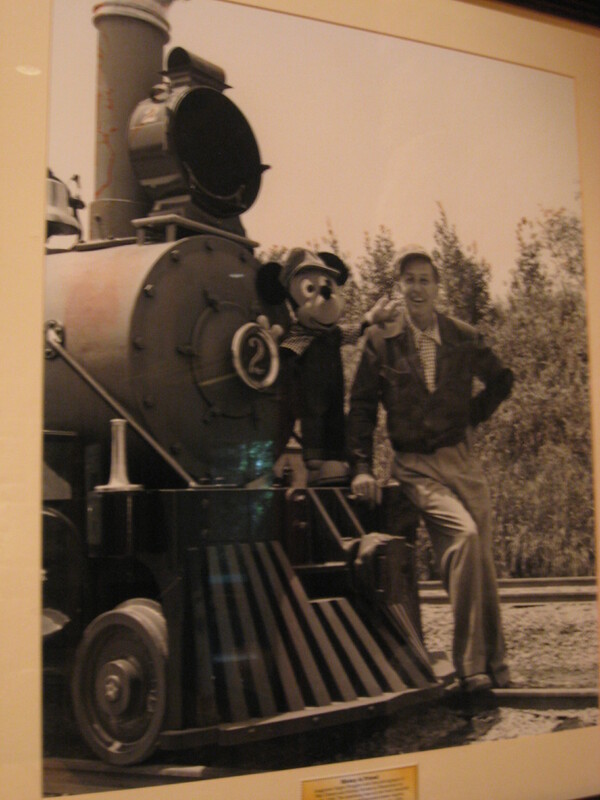 This is the train his friend Roger Broggie built for him and that Walt conducted in his own backyard. Two original Lilly Belle freight cars are also on display here. When compared with the scale drawing and photos, you can really get a sense of how scale measurements and math played a big part in getting the design of the Lilly Belle just right. Books, maps, conductors’ hats, lanterns, and medallions round out the collection on display. 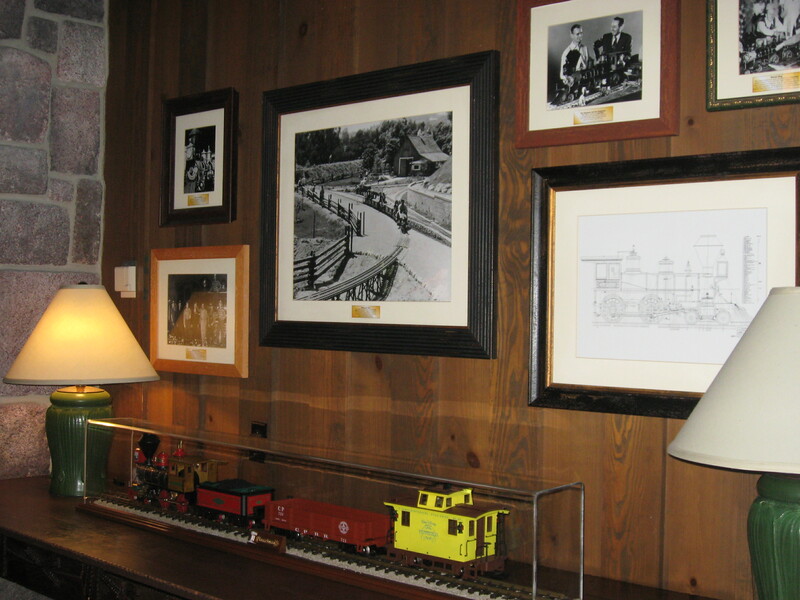 You can definitely see how much trains played a part in Walt Disney’s life and why they are prominent at the Villas. 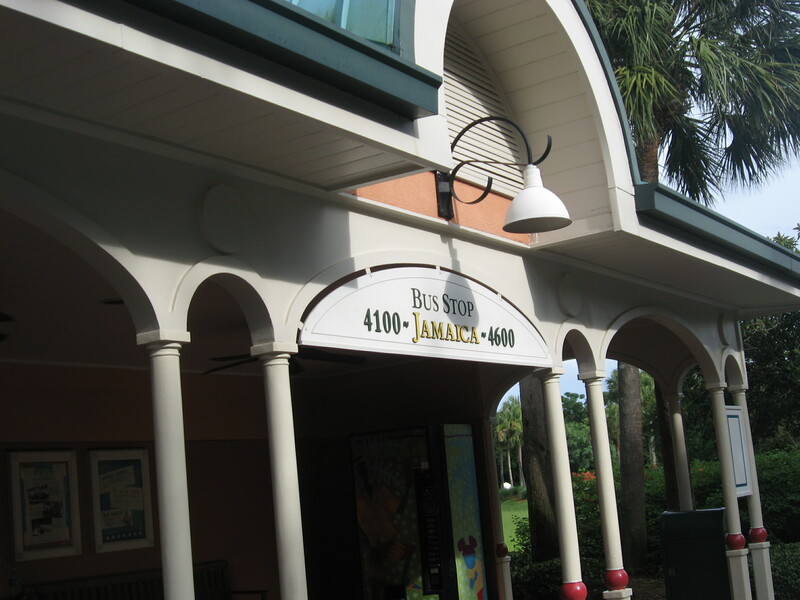 Disney’s Caribbean Beach Resort is a beautiful, tropical, and fun retreat. There’s no shortage of recreation here among the pools, beaches, boat and bike rentals, fantastic jogging path, and picnic areas. But you might not realize that there are educational opportunities here, too. 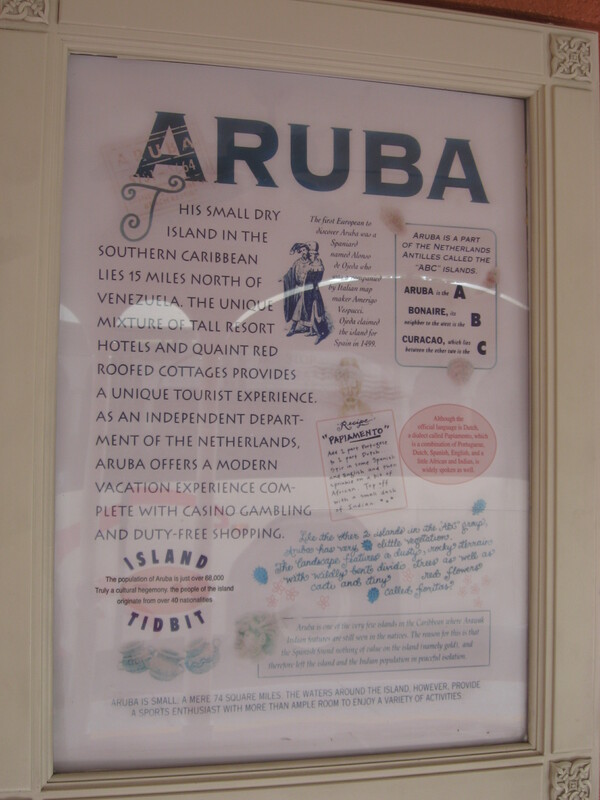 This resort consists of six themed island villages: Aruba, Barbados, Jamaica, Martinique, Trinidad North, and Trinidad South. 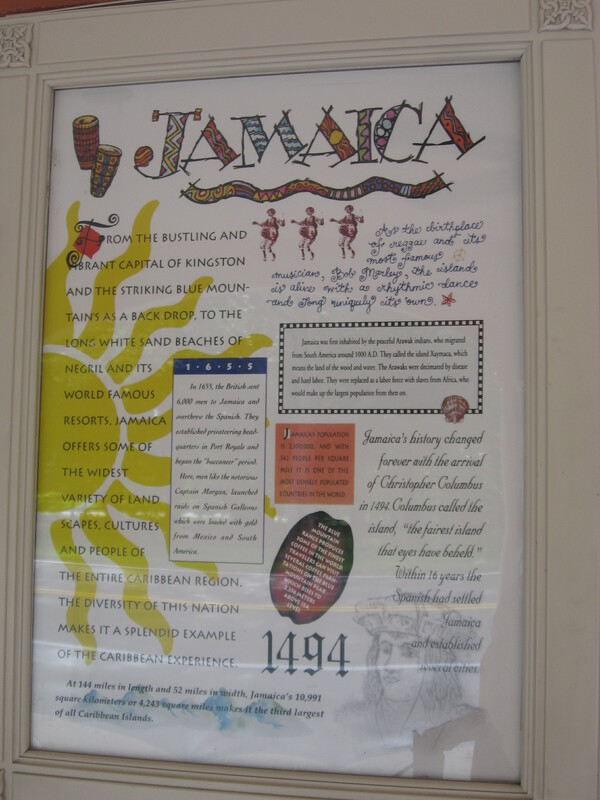 Each village sports vibrant Caribbean colors and architecture similar to what would be found on that island. There are bus stops at each village where Disney transportation will pick up and drop off. And it is here where we find our learning moments. 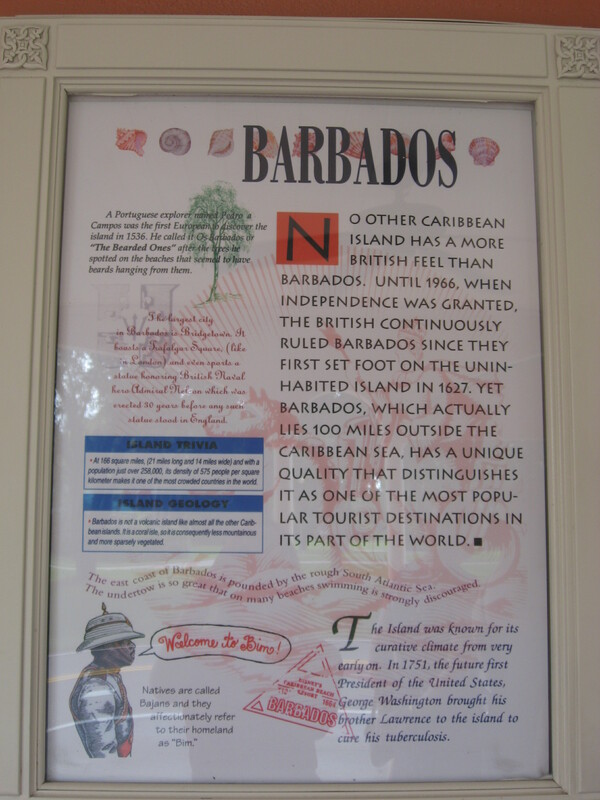 Each bus stop has a poster with fun facts about that island. 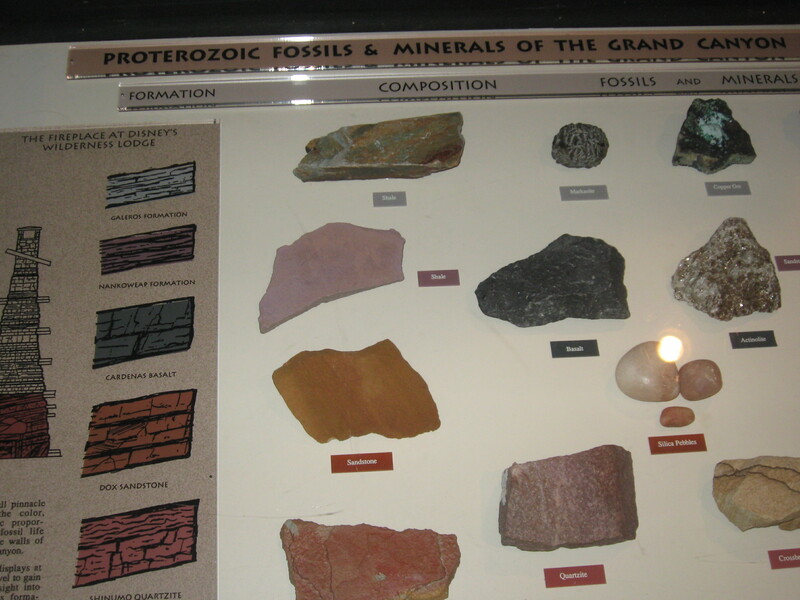 They might describe the climate, location, natural resources, languages, or history. They are all different so take some time to seek out all six. Whether you’re staying at or just visiting Disney’s Wilderness Lodge, there’s plenty to learn while you’re there. This resort is themed around our great National Park lodges and the Pacific Northwest. As you look around, you’ll spot nods to the wildlife, Native American influences, and natural wonders of the area. 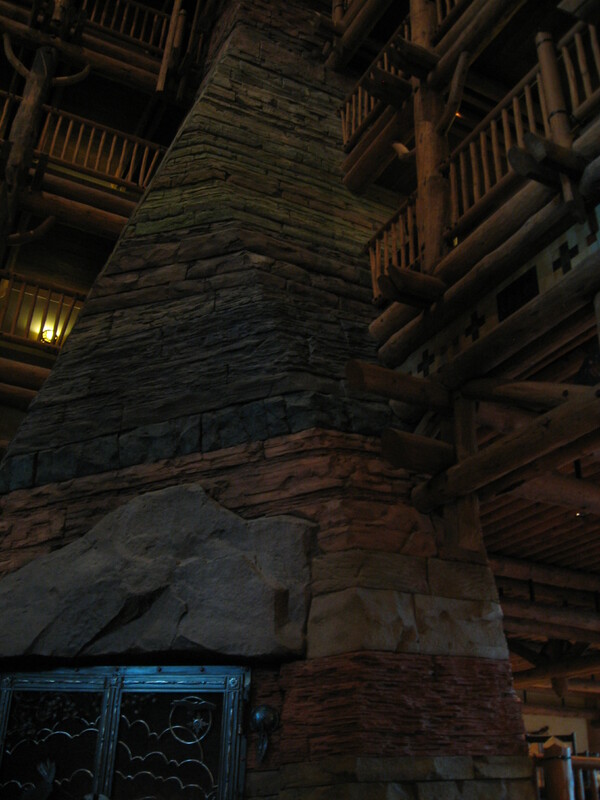 A centerpiece of the lobby is the 80 ft tall fireplace that replicates the geologic makeup of the Grand Canyon. 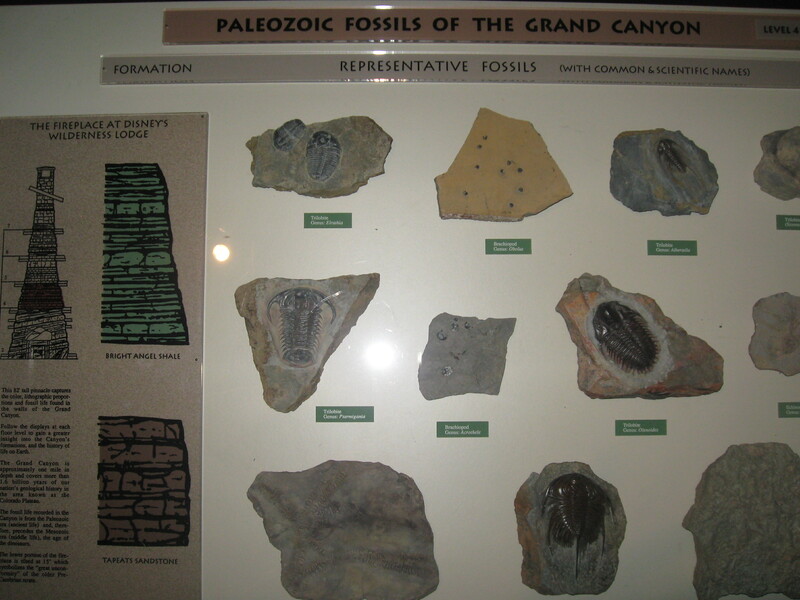 On each floor of the resort, you will find a case that shows examples of the rocks, fossils, and minerals that are found in each canyon layer, on level with the layers in the fireplace. From the balconies in the lobby, little ones can have fun spotting the different animals carved into the towering beams or painted on the giant totem poles. And if you’re wandering outside, challenge the kids to look for buffalo tracks in the sidewalks.